We are proud to stock the whole range of Royal Canin life-stage diets at competitive prices. We want the best for our patients! Royal Canin produces award-winning cat and dog diets for pets worldwide and is a well known brand that Vets choose to feed their pets. All their diets are developed by Veterinary scientists to ensure your pet gets the best nutrition at different stages of their life. 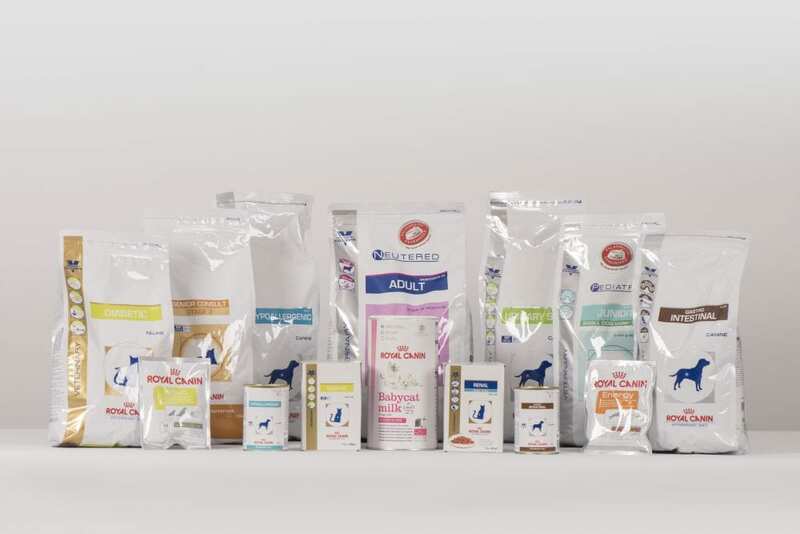 Ranging from food for kittens and puppies, to ensure they grow at the right rates to prevent developmental problems; to diets for mature pets to support their ageing organs! We also recommend diets formulated for neutered pets to prevent weight gain post neutering. When you buy 8 bags/tins or pouches you get the 9th FREE. Please ask at reception for your reward card. Please feel free to contact us if you want any more information on which diet would benefit your pet.